Laverne Cox already made history as the first transgender actor to receive an Emmy nomination. Now the Orange Is The New Black standout is breaking new ground for transgender performers as star of Fox’s TV remake of Cox will play Dr. Frank-N-Furter, the role played by Tim Curry in the original Broadway cast and the 1975 movie. With Cox on board, the The Rocky Horror Picture Show, which had been gestating for a while, is getting a formal green light for a premiere in fall 2016. The two-hour taped event is described as a reimagining of the 20th Century Fox cult classic, which last month marked 40 years of theatrical distribution – longer than any other film in history. The Rocky Horror Picture Show follows sweethearts Janet Weiss and Brad Majors, played in the movie by Susan Sarandon and Barry Bostwick, who stumble upon Dr. Frank-N-Furter’s bizarre abode. Frank-N-Furter, a sexually ambiguous flirtatious alien mad-scientist, is holding an annual Transylvanian science convention to showcase the birth of “Rocky Horror” – a fit, attractive man created solely to fulfill Frank’s desires. Cox, who received an Emmy nomination for her role as transgender inmate Sophia Burset on Netflix’s Orange Is The New Black, also has a co-starring role in CBS’ legal drama pilot Doubt. Additionally, she appeared Paul Weitz’s feature comedy Grandma. Her documentary, Laverne Cox Presents: The T Word, won a Daytime Emmy Award. The Rocky Horror Picture Show is from Fox 21 Television Studios and Gail Berman’s The Jackal Group. Berman, who has background as a Broadway producer, met Lou Adler, the Grammy-winning Rocky Horror Picture Show executive producer, in 2004. The two started mulling a reimagined version of the cult-classic and, in 2014, they partnered to begin development at Fox. (Berman originally tried to get a Rocky Horror special off the ground in 2002 as Fox Entertainment president.) On Fox, Glee did a Rocky Horror Glee Show episode in 2010. Adler and Berman will serve as executive producers on the special, directed, choreographed and executive produced by Emmy winner Kenny Ortega (High School Musical franchise, This Is It, Descendants). 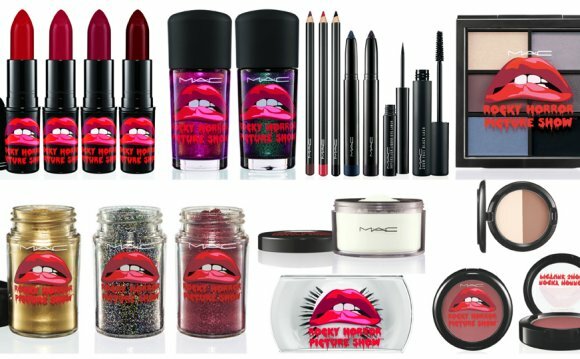 What is Rocky Horror About?